GALION — A proposed bike path for local residents is one step closer to becoming a reality. Last Tuesday, Galion City Council approved an easement for the path that will be located on the west side of town. 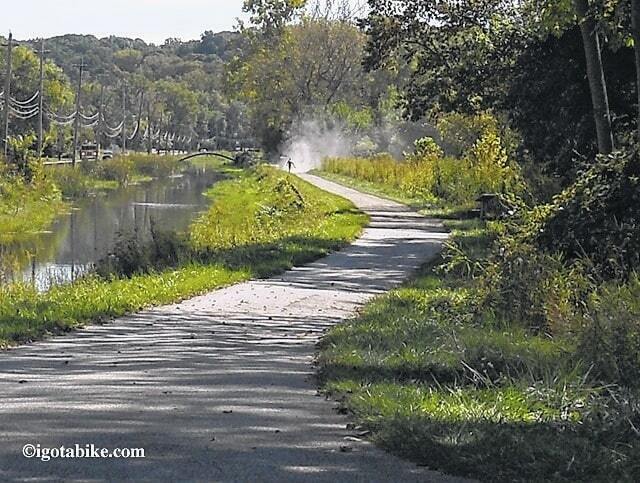 Currently, the city’s communication director, Matt Echelberry, is working on an application for a Clean Ohio Trails grant to help fund the project. “The Clean Ohio Trails grant is offered through the Ohio Department of Natural Resources,” said Echelberry. Echelberry said the project includes design and engineering for a multi-use recreation trail through Galion, and construction for Phase 1. Echelberry said future phases not funded with the grant would connect the south end to Amann Reservoir-via right-of-way on Biddle Road and the north end would continue through the Galion school campus. “The exact layout for this portion to be determined and the path will continue to PECO Park,” said Echelberry. Echelberry said if a county-wide bike path is initiated, the intent would be to connect Galion’s trail in the most feasible way possible. Echelberry said the grant is a reimbursement grant with an award cap of $500,000. “There is a 25 percent local match which can include cash, any city labor or materials, donated land, and volunteer work,” said Echelberry. Echelberry said the project was initiated in 2014 by Mayor Tom O’Leary with help from current city safety-service director Nikki Ward. “We applied twice for a Transportation Alternatives Program grant through ODOT but did not receive funding. We are reusing and updating material prepared for that grant and putting together any other info needed for the COT grant,” said Echelberry.